Picpoul de Pinet is a white-wine grape originating in the Languedoc region of France, where its cultivation is many centuries old. The Picpoul grape (also sometimes called "Piquepoul") is actually three varieties: white (blanc), red (rouge), and even rosé (gris); it is the white variety that is most usually used to make wine, and on which we focus here. 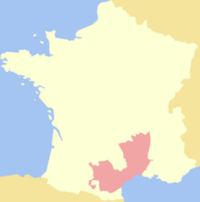 The great bulk of white Picpoul-based wine is used for "Picpoul de Pinet", a name that, by French law, designates wines that are 100% white Picpoul and come from one of a small specified set of communes (Pinet, Mèze, Florenzac, Castelnau-de-Guers, Montagnac and Pomérols). It is doubtful that even the most ardent advocates of Picpoul de Pinet would call it one of the great wines of the world, but—like so many regional wines that have endured through time—it serves well in certain uses. Notably, it works well when the chief wanted qualities are crispness and acidity, which are its stock in trade. In its native region, it is commonly drunk with shellfish, especially oysters, but works well with any rich dish, especially anything with a cream-based sauce. Picpoul is rarely grown outside its native land, but there are a few wineries in the U.S. working with it; Tablas Creek, in California, reports that in its climate, Picpoul retains its defining acidity, but acquires fuller, lusher flavors. Some is also grown in Texas. The wine is typically a greenish gold in color, with crisp minerality, definite acid, and some citrus qualities, notably lemon. (Some report, and cherish, a hint of salinity or even iodine aromas, which purportedly enhance its use with seafood.) The very name of the grape means "lip stinger", which suggests its acidity levels. Improved winemaking techniques and greater care have, in recent times, resulted in more distinctive and more widely appreciated versions. Picpoul is a wine best drunk young; aging is neither needed nor wanted. Picpoul de Pinet wines are virtually all sold in a special, distinctive bottle (called a "Neptune" bottle), green, tall, fairly thin, with an embossed Languedoc cross on it. Most bottlings come from wine cooperatives, but there are also a few individual vintners making the stuff. Factoid: In the 17th and 18th centuries, Picpoul was blended with another popular Languedoc white, Clairette, to make a popular blend known as "Picardan". "Immediate words that come to mind whenever I taste a Picpoul de Pinet are crisp, racy and refreshing. Flavors and aromas combine citrus, yellow plums, apricots, blossoms and a well defined minerality. These are not very complex wines, yet always show an honest sense of place. While high in acid, these wines are really not for cellaring and are best enjoyed within two years of release. While the wines are delicious summer sippers, they truly come into their own at the table. They are especially good with seafood such as oysters, crab, razor clams, anchovies or mussels. Some people often refer to Picpoul de Pinet as the ‘Muscadet’ of the south, referring to its special affinity with oysters. Apart from seafood, the wines are a great foil for cured meats such as coppa, prosciutto, speck and salami." "For a grape variety grown in the warm, sunny Mediterranean, inland from Sète, it has remarkable freshness and citrus-vivacity. Indeed, anyone in doubt of this grape’s freshness should look to its Occitan origins for a translation … lip stinger… so-called for the grape’s high natural acid content, which it retains well in the Mediterranean warmth. This may be partly due to the sea breezes cooling the extreme warmth of the day, and bringing much needed moisture to the vines on their panoramic limestone plateau. It has other quirky attributes too. It is a white-wine-only cru of the Coteaux du Languedoc appellation, though Picpoul de Pinet is always prominently displayed on the label, so it’s easy to find. . . And it is as an aperitif and to accompany such seafood that it reaches its simple apogee. For this reason, it’s sometimes called it the ‘muscadet of the Languedoc’, though the flavour profile is fuller, if similarly zesty. Picpoul tastes best in the prime of its youth, when it is showing full flavours to their best: white flower blossom, lemon freshness, soft green apple, richly flavoured and relatively full bodied, with just a hint of herbal complexity to the finish of the better examples. 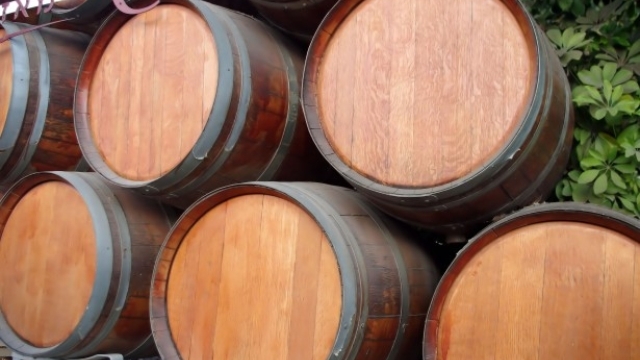 It’s a wine that wisely doesn’t see any overt oak influence. Massively complex it will never be, but as a good flavoursome drop with a bite of freshness, it excels." "Simply put, Picpoul is my favorite white varietal; specifically, Picpoul de Pinet from Coteaux du Languedoc in France. Since discovering it I almost don’t want to try any other white wine for I have found the one that I love. This is an absolutely delightful varietal. It’s light, dry, minerally, acidic… it’s everything I want from a white wine. . . It is known for its high acidity which makes it an excellent wine to pair with shellfish — oysters are a popular choice with Picpoul. It is also an excellent choice with rich, soft cheeses." "Tasting: Crystal clear with green highlights, though can be more golden from older vines. Soft, delicate nose, with pleasant hints of acacia and hawthorn blossom. Delicate and fresh in the mouth it has an excellent acid/structure balance. It neutralizes the salt and iodine in shellfish and other crustaceans, and is surprisingly good with rich cheese and charcuterie." "Think tall, slim, green bottles, containing refreshing, bone-dry white with a mineral and grapefruit tang and hint of white pepper, or whiff of smoke. That's my take, anyway; others call it 'steely', with a 'floral' aroma and 'aniseed' or 'green-apple' notes. " "[The] wines are extremely good, combining fine acidity, a rich texture and both spice and minerality which make them supremely well-suited to local sea-food dishes." "With upbeat freshness and zero oak, it appeals to a wide range of tastes: those who prefer a simple Pinot Grigio, fans of more zesty steely Chablis and even electrifying Sauvignon Blanc." "These French white wines are made from a single Picpoul grape variety and is a light acidic wine, with citrus fruit aromas. [Picpoul de Pinet] is the perfect accompaniment to fresh Languedoc seafood." "Grown in France by the Mediterranean Sea, this unique variety is lean and bitingly crisp, and with aromas of lemon confit, white flowers and minerals it pairs perfectly with the local oysters and seafood." "Comparisons can be odious but I think it is fair to suggest that Picpoul de Pinet is the southern French equivalent of Muscadet. Neither packs a punch of flavour, but they provide brilliant accompaniments to the local seafood, and when finely crafted, have deliciously subtle flavours." "Citrusy and bright, Picpoul de Pinet is lively enough to be an aperitif, complex enough to drink with cheese or seafood and -- no small consideration -- affordable enough to indulge in a second bottle . . . Picpoul is not a complex grape, but winemakers inevitably bring out sprightly flavor with nuances meant more to be enjoyed than analyzed. Even at its most basic it is crisp and bracing and full of fruit." Picpoul is a bargain, with few bottlings retailing at over $14 and many available at $10 and under. The problem is selection: even excluding bottlings only carried by one or two retailers, there remains a host of possibilities. Our feeling is that you are not likely to go far wrong with any Picpoul, but we feel that the few we list below represent a good cross-section of the better (and generally available) bottlings out there. 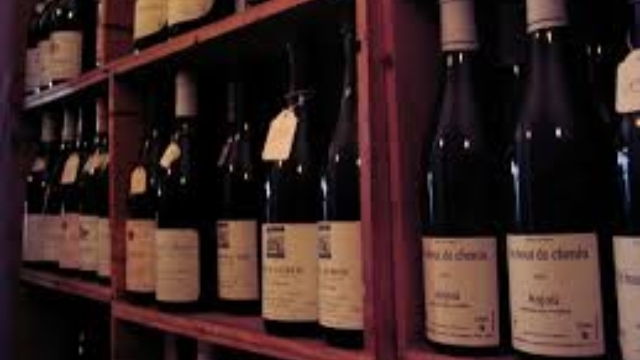 ♦ [T]he good news is that some very good French examples of the grape - labelled Picpoul de Pinet - are available here: look particularly for the wines of Domaine de la Majone, and the brilliant biodynamic winery Château Maris. ♦ One of my favorite summer sippers is Picpoul de Pinet. Picpoul (peek-pool) is the name of the grape (translation from the local dialect: “lip stinger”). It is bone dry but has a soft mouth feel and a refreshing, citrusy zing. Try Jadix or Chateau Maris Picpoul de Pinet and drink it like the locals: with scallops, shrimp or oysters —it works with almost anything from the sea. ♦ After sampling 40 wines these are the bargains (under $15) I recommend:…Picpoul de Pinet Chateau Maris 2013…the wine is delicious. ♦ It’s quite vibrant, with crisp acid, zingy citrus notes and an attractive, clean mineral finish…Fresh, but elegant. ♦ Lightly amylic-pear drop, resin, mineral, stone-fruit and peach-skin aromas dominate the youthful nose of this wine. Very clean and mineral-focused. The medium body and vibrant acidity give the palate a firm texture…Good by the glass or with light fare. 88 points. ♦ [T]he Croix Gratiot 2008 Coteaux du Languedoc Picpoul de Pinet is one of the best of an appellation already known for its frequency of such amazing value. Saffron, clover, honeysuckle, orange zest, and sea breeze in the nose lead to a luscious, bright, exuberantly juicy palate tinged with saline, alkaline, and zesty notes that add to the invigoration of its long finish. Keep some of this handy to your refrigerator and table over the coming year. ♦ Picpoul has a green herbal scents and a pleasing mineral tang. 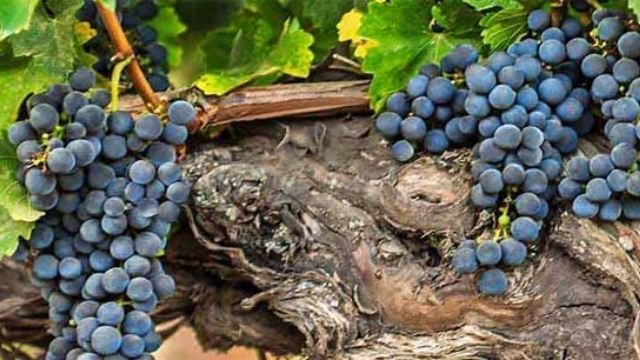 Brands to watch for: Caves de Pomerols, Les Croix Gratiot. ♦ Here are some of the highlights [of a large tasting] for me:…2. La Croix Gratiot, Picpoul de Pinet, Coteaux du Languedoc, France 2010. Very crisp and clean. 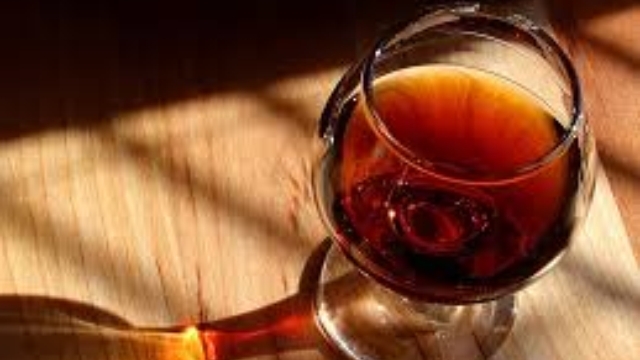 ♦ No, it’s not a wine where the initial taste blows me away and it doesn’t remind me of a special time in my life. Instead, this is a delicate wine that is designed to pair well with food. As a matter of fact, I would not suggest you enjoy this wine on its own, as it would not show as well as it can with grilled or raw fish, especially shellfish, and similar lighter fare. Color is pale straw with a green tinge and the nose offers wildflowers and lemon zest with hints of petroleum and raw steel. In the mouth, the fruit is citrus in the mid palate with strong acidity on the side and back palate. The finish is clean with tangy citrus, while a touch of fresh heat crosses the top palate and a surprising line of minerals that mixed and confused my palate: silica, schist, flint, marl, clay, halite, limestone, & sandstone. ♦ Picpoul means “lip stinging” in French – a characteristic influenced by the salty marshes of the Mediterranean. While you may feel a slight pucker coming on, the acidity and bright citrus notes in the wine are balanced by a floral nose, substantial body and a crushed gravel minerality…There’s also a slight muskiness or bitterness on the finish…At its core, picpoul is a simple wine. Drink it young and drink it cool. ♦ There’s been some fairly run-of-the-mill Picpoul de Pinet around in the last couple of years, but this organic one has more of the requisite herbal bite, nutty flavour and briny, citrus zing. A winner with the simplest, freshest seafood. 88 points. ♦ One of my personal favourites of the 2015 vintage Picpoul de Pinet we tasted, and not coincidentally one of the rare organic wines produced under the AOC. If you don’t like high-acidity whites, stay clear of this one, but for me this was a good find: pure, refreshing and lightly round, no false pretenses, just a pleasing, vibrant aperitif and food wine. Aromas and flavours of lemon, citrus pith, peach and a hint of monoterpenes, the herbaceous / floral / resinous notes that make many a wine more interesting. ♦ [F]resh and lightly fruity on the bouquet with a crisp, racy, high-acid taste: intense, long-lasting and lip-smackingly dry. ♦ Of course, the wine to serve [with shellfish] is Picpoul de Pinet, and this one is a particularly delectable choice. Its floral, citrus and dusty mineral aromas and round, ripe lemon-lime, melon and pineapple fruit are invigorated by laser-sharp acidity. If oysters are not for you, try it with a veal piccata or caprese salad. The Jourdan family, vintners in the Languedoc for several generations, acquired this property in 1983. In this family, winemaking is women’s work. Claude Jourdan took over the winemaking chores from her mother in the mid-1990s. In an area dominated by cooperative wineries, she is one of the few vintners making domain-bottled wines, which explains the better-than-expected intensity and concentrated flavors. ♦ Slight golden hue (possibly from older vines). Crisp and very minerally with subtle aromas and flavors of mirabelle plums, garrigue, earthy minerality, orchard fruit. ♦ Picpoul de Pinet is a bit like Muscadet; when it is bad, it is dull and boring, but when it is vinified with talent and care, it is absolutely delicious. Such is the case at Domaine Félines-Jourdan, which is the largest private producer. . . Mme Jourdan makes just one Picpoul, rather than several different cuvées. It is a blend of Picpoul from all three vineyards. The 2009 Picpoul de Pinet has a salty, sappy tang on both nose and palate, with a certain weight on the palate. The grapes are picked later and riper than some, but she is adamant that Picpoul should always have freshness and acidity. With riper, fuller flavours, it doesn’t just go with oysters from the nearby Etang de Thau, which is the classic combination, but will accompany other richer fish dishes. The fermentation is long and slow, taking about six weeks; the wine is left on the lees over the winter, but without any lees stirring, and prepared for bottling sometime at the beginning of the year. ♦ This Picpoul is made from three vineyards in different locations. The original territory, Les Felines, is on limestone and clay next to the Thau Lagoon on the Mediterranean coast and it benefits from sea breezes and morning fog, especially in the late summer. Les Cadestres is situated on a windy plateau in the center of the appellation. The soil is composed of chalk and pebbles. Further north you find La Coulette on the outskirts of a pine forest, facing east with gravel, sandy topsoil on sandstone. Shielded from the wind, it is the warmest of the three. It was stainless steel fermented and aged. Piquant and zesty with lime, minerals and a mild saline note. It is what it is. Drink when it is young and fresh meaning now. 13.5% alcohol. There are other Picpouls I enjoy as much, and even a couple that are more complex, but for under $15, this is one of the best white wines on the market. ♦ A superior example with a distinctly peppery, even spicy, quality and a slightly fuller texture than some. ♦ DECANTER MAGAZINE REVIEW: "All of a sudden, Picpoul has become fashionable. Escaping from a vinous backwater, Picpoul is transformed as Picpoul de Pinet, one of the Languedoc crus. Climate change may have something to do with it, but this citrussy mineral wine has bright acidity, making it perfect for summer days. The Domaine is, for me, the top Picpoul d Pinet Producer. 18/20". ♦ P. de P. reminds me a lot of an Italian Orvieto – or similar Italian white varietal which is high in acid and citrusy notes. The common taste on the palate is one of lemon and green apple. The better of the two [Picpouls] I had also possessed a hint of a briny quality which would have made it a rapturous pairing with white fish. The more complex version of Picpoul I purchased was from a 2008 vintage of Domaine Feline Jourdan (about $12 if you can find it). We had it with a roasted chicken with root veggies and a creamy mushroom sauce. Delicious. ♦ Grown in France by the Mediterranean Sea, this unique variety is lean and bitingly crisp, and with aromas of lemon confit, white flowers and minerals it pairs perfectly with the local oysters and seafood. A couple of weeks ago I visited the Queen of Picpoul--Claude Jourdan of Domaine Félines-Jourdan. . . She is the largest private [non-cooperative] producer of Picpoul de Pinet. . . Her wines seem to reflect a certain feminine sensibility: approachable to everyone but with layers of depth that can be found by those who know how to look. . I tasted the recent 2013 vintage and it was like sucking on oyster shells with a stingingly refreshing bite of acidity. In fact, Picpoul translates to “lip-stinger.” The Domaine holds 3 specific terroirs which are usually blended together for the sake of typicity — the ability of a wine to reflect the grape from which it was produced. The Felines terroir gives citrus notes and freshness to the blend, the La Coulette offers aniseed and fennel aromas and supplies a roundness, while the Les Cadastres is full of exotic fruits and flowers. ♦ [P]ale yellow in the glass with delicate melon aromas. Clean flavors of citrus and minerals combine with a steely acidity for a lingering finish. ABV 12.5%. This wine has summertime written all over it. Enjoy it anytime the temperature gets warm and with a wide variety of food. Seafood is a natural combination with this wine, we chose crab filled avocados, but shrimp, clams, oysters would all be delicious as would grilled fish. When looking for white wines to pair with seafood, it’s wise to look at coastal regions making white wine. The combination is usually a natural. ♦ Font-Mars means "the soil of dinosaurs," and the property took this name due to the fossilized dinosaur eggs which are found there in the limestone and clay soil. . . The Font-Mars Picpoul is a pretty golden color and smells of minerals and wet straw. The palate shows plenty of wet rocks, green apples and some floral notes and features great, refreshing acidity. A spring day and a mountain stream come to mind. The finish is lovely and long lasting. The wine would no doubt be fantastic paired with scallops or any sort of seafood, but I had it with a grilled smoked applewood ham sandwich with potato salad, and I was quite satisfied with that pairing. If only there had been a mountain stream nearby. ♦ The immediate friendly quality of this rarely-seen grape leaps forward in all its fruited glory. Reflecting off the green tint is a clever mix of ripe peaches with more floral lichi and pineapple, landing somewhere between the tropical and summer's best picked orchard harvest. A zesty but not too assertive acid rides straight through (a bit softer felt than expected for the grape), keeping a fresh tone and perky attitude to the round, limpid middle. The finish leaves a satisfying sense of devouring something succulent, with a natural fruit sweetness and palate cleansing snap. ♦ The Picpoul de Pinet has a very light straw color with a spectacular luminosity. The nose is very appealing, though much, much less fruity than other Picpouls I’ve tried, with a very minerally, soapy scent. It’s like swirling a glass of creek water with a slice of lime dropped in it. As far as the mouth feel is concerned, it is extraordinarily tangy, extremely dry, with a very full texture, though the acidity feels lower than other Picpouls. The flavors are bright and crisp, with a burst of minerals on the attack with all the flavorful grace of a wet rock. The lime flavor comes forward after the initial minerals fade away along with some light tropical notes, though only the lime remains lingering on a medium finish. I want to describe the flavors as delicate, but they’re hefty enough to balance out a decent acidity. Probably the best way for me to describe this wine is “delightful, but plain,” a term that easily applies to 99% of New World Sauvignon Blancs. At $12, it’s a decent value and sure to please the dry white palates in your life. ♦ I'm always on the lookout for fresh, affordable whites for summer drinking. This Picpoul de Pinet from Chateau Font-Mars in the Languedoc region of southwestern France is certainly a contender. Made from the indigenous picpoul blanc grape, which can be traced back to the 17th century in the Languedoc, this Picpoul de Pinet is crisp and minerally with hints of citrus and flowers. . . it's hard to find a better summer-weight white wine for the price. ♦ Crisp, lively, full pear and apple notes but balanced by minerality on the finish. Perfect hot summer sipper. ♦ On the nose, it reeked of freshly-picked pineapple and grapefruit, with soft floral notes as well. Summer in a bottle. ♦ This French gem is a refreshing blend of tropical and citrus fruit flavors, with peach aromas and a strong acidity. It pairs well with Thai cuisine or other spicy dishes. ♦ The wine was excellent as well. It was much more full-bodied than you would expect from such a low alcohol wine (12.5%.) Flavors of citrus and peaches were predominant. It reminded me a bit of an unoaked chardonnay. I was worried that the salty black beans and herby asparagus would clash, but this wine proved to be a great food wine. I highly recommend the Chateau Font-Mars 2007 Picpoul de Pinet. If you can find this little gem of a wine, be sure to pick it up. ♦ [W]e bought several for a little tasting and found them consistently good -- especially for about $10 to $15. We especially liked Château Font-Mars ($11) and La Chapelle de la Bastide ($10), both from 2007. They're the kind of wines we'd keep in the refrigerator at all times to sip when we got home on a hot day -- refreshing and mouth-watering. This is another variety for which there seems, by critical reviews, no bottling nontrivially better than what is in our standard list for it.